Attack and Defend! This branch of classes is your front line in combat. Members of the tanks branch are heavily armored and come equipped with big, scary weapons. 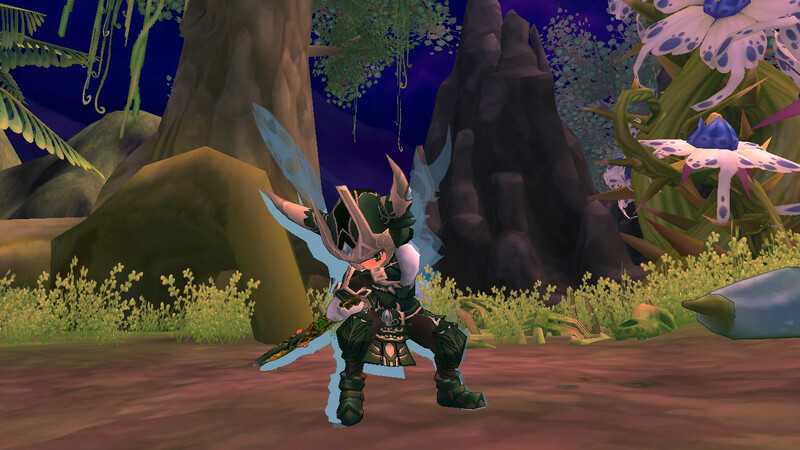 The Warrior and Knight classes can also cast distracting spells, aiming the target's attention away from weakened enemies. 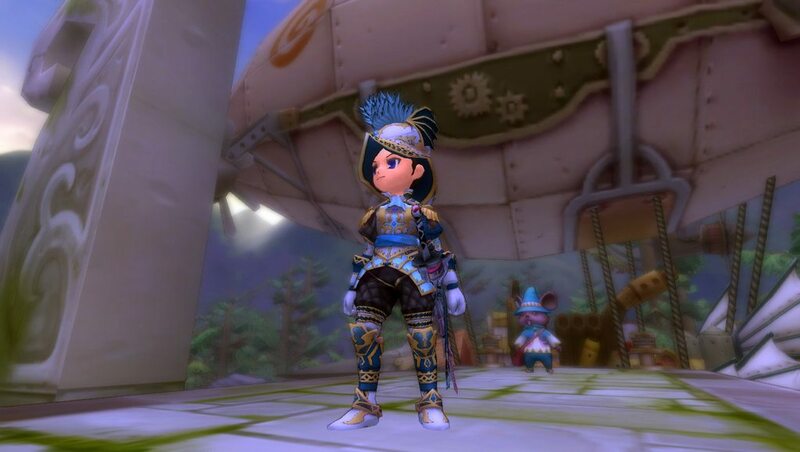 The Warrior is one of the first available classes in the game. 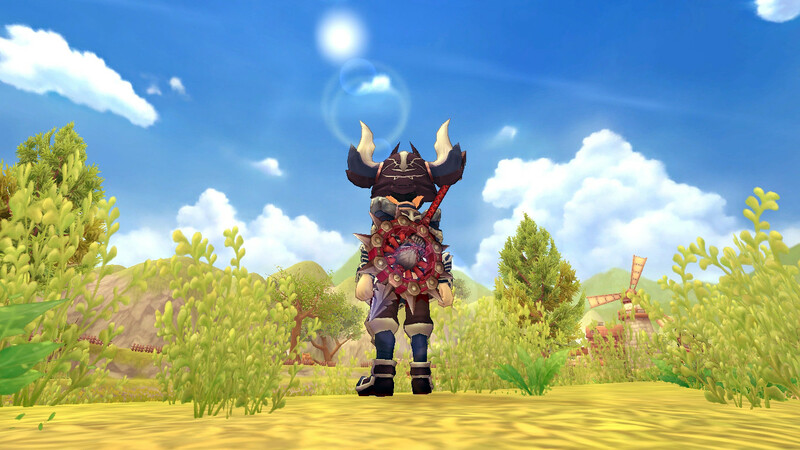 Equipped with heavy armor and mighty axes, the warrior's sole objective is to finish the battle quickly and decisively, and with enough HP left to take on any remaining surprise enemies, if needed. Bloody AttackIncreases P-ATK and has a chance of striking target 2 more times. Angry PunchIncreases ATK. Deals damage to a target, and produces a high amount of Malice. OnrushIncreases ATK. Instantly charges a target, stuns the enemy. Titan's WallLowers the damage taken for a certain amount. Sense of SurvivalIncreases your Max HP. Also increases Healing done to you. Metal BlusterIncreases your DEF. IntimidateFrightens all nearby targets below a certain level, throwing them into Fear. Also decreases their EVA. Group ProvokeIncreases P-ATK. Damage all targets within 20m. Increases target damage taken for 6 seconds. Requires Melee weapon. Exhiliration20 seconds, while under attack, Increases the striking power point HP. The effect lasts for 10 seconds. "You call that an attack? My grandmother could hit harder!" The chivalrous Knight deftly executes swift sword strikes to overwhelm foes in single combat. Embodying great courage under pressure, Knights bravely dodge and block attacks. They view their immense fighting skills as a source of pride and accomplishment. 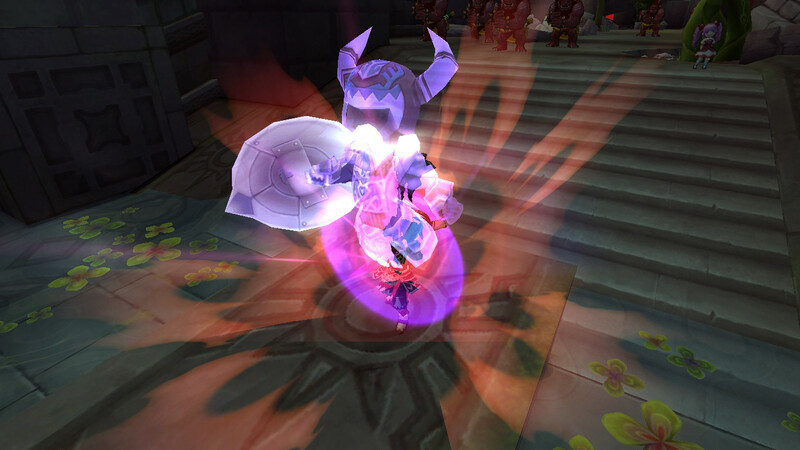 Drawing on ancient magic, Knight can also cast a series of combat-boosting spells. MaelstromIncreases P-ATK. Strikes a target 3 times. Each strike deals less damage than the last. Judgment StormInflicts a certain amount of Physical damage per sec on the targets. Also generates a great amount of Malice. Magic BlockadeIncreases P-ATK. Disables a target from casting skills. FearlessIncreases your ACC. Also removes all debuffs. Knight's BreezeIncreases your Move SPD and ATK SPD. FocusIncreases your Double Hit Rate and AGI. ElegantIncreases your EVA, and increases Healing done to you. AsylumWithin 30 seconds, P-Healing +4 for party members within 15 feet. 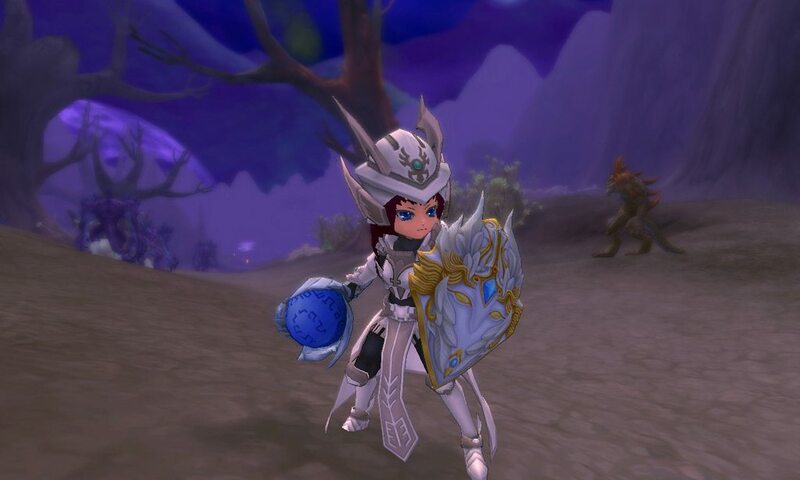 Shield CounterFor 12 seconds, shield block rate +6, when attacked, 15% chance of stunning the enemy. Last for 3 seconds. Requires shield. "That's a hit, a palpable hit!" A third tank class relies on faith in the gods to sustain him in battle. Not only do these tanks possess near endless stamina, they also unleash magical holy hell on their surroundings, making them a danger to heavy tanks and squishy casters alike. Healing LightHeals target's HP. 25% chance to increase healing received by the target by 10% for 6 seconds. Sacred LightAttacks target dealing holy damage. Decreases targets movement speed by 30% for 6 seconds; No effect on boss monsters. Decisive ShieldIncreases block for 30 seconds. Protective LightHeals target's HP and removes 1 debuff. 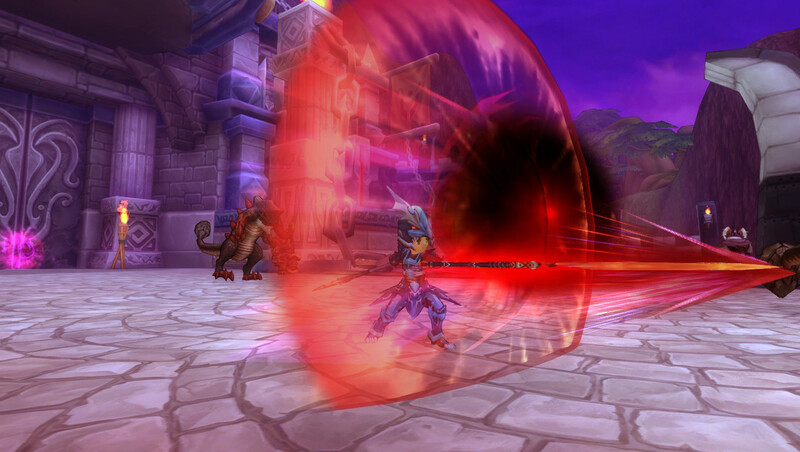 Shield BashAttacks the target with a 50% chance to inflict stun on the target for 3 seconds. Judgment ImpactIncreases M-ATK +x points. Deals Holy Damage to all enemies within 15 feet and causes extra Malice. Kingdom ComeInstantly recovers +x HP. Increases STR and WIS +x points for 30 seconds. Lightning WaveM-ATK +x. Deals Holy Damage to all enemies within 15 feet, Knockdown effect, lasts 4 seconds. No effect on boss monsters. Light ShieldFor 12 seconds, M-DMG recieved -20%, and decrease M-DMG amount by x. "Bolstered by their noble belief in the holy, Templars call on the power of God to punish evil." 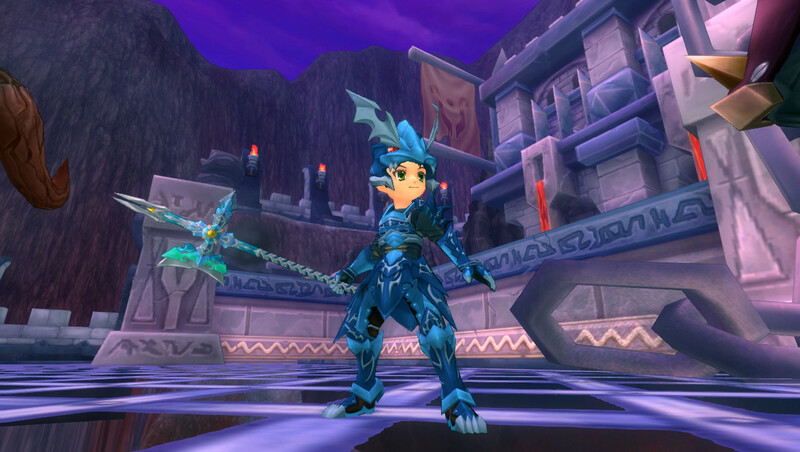 Completion of the Quest: "Awakening of the Drake's Soul"
Dragon knights are a melee ranged class that uses spears. Possessing different dragon souls, Dragon Knights are able to harness the abilities of different dragons and display a variety of powerful skills. 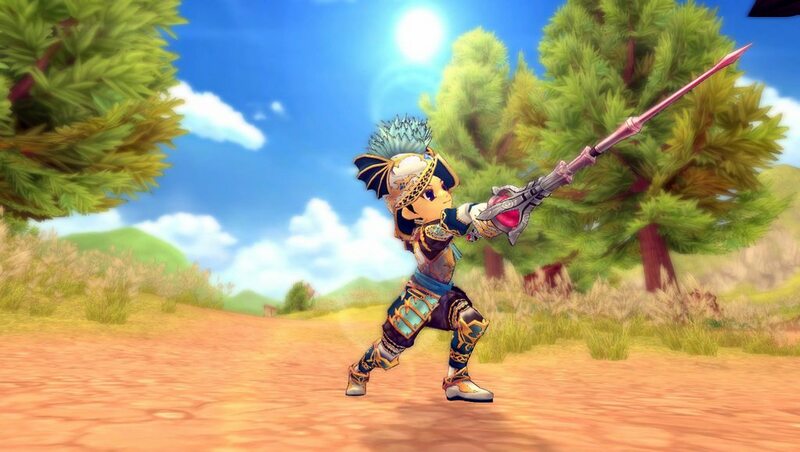 Not only do Dragon Knights brandish spears that are able to assault and sweep aside any enemies, they can also cover themselves with impenetrable dragon scales, resisting any fatal attacks. Reverse ScalePerforms counterattack on enemy target who is attacking caster. Caster is immune to any damage. Lasts 1 second. When under Hidden Drake Mode, it recovers HP x after successfully counterattacking and increases Malice greatly for 3 seconds. Increases damage from "Drake Tail Strike" and "Drake Tail Slash" by 20%. Lasts for 3 seconds. Drake Tail StrikeIncreases P.ATK x points and damages target. Knocks target 10 feet back. When under Flame Drake Mode, it reduces DEF by 50% for 3 seconds. Increases damage from "Drake's Power" and "Hellfire Dragon Devour" by 20%. Lasts for 3 seconds. Hellfire Dragon DevourIncreases P.ATK x points. 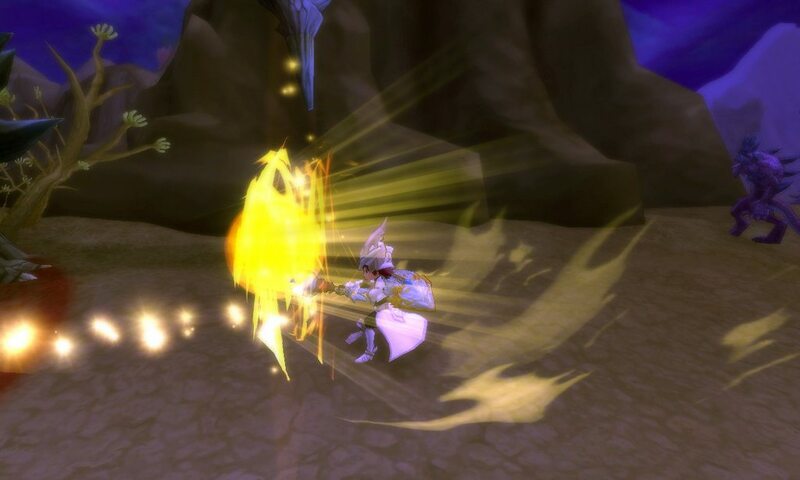 Caster instantly charges the target and casts damage to surrounding target once the attack lands. When under "Flame Drake Mode", it reduces x HP for 3 seconds. Increases damage from "Drake Tail Slash" and "Reverse Scale" by 20%. Lasts for 3 seconds. Drake's PowerIncreases M.ATK x points and causes fire damage to a long-range target. 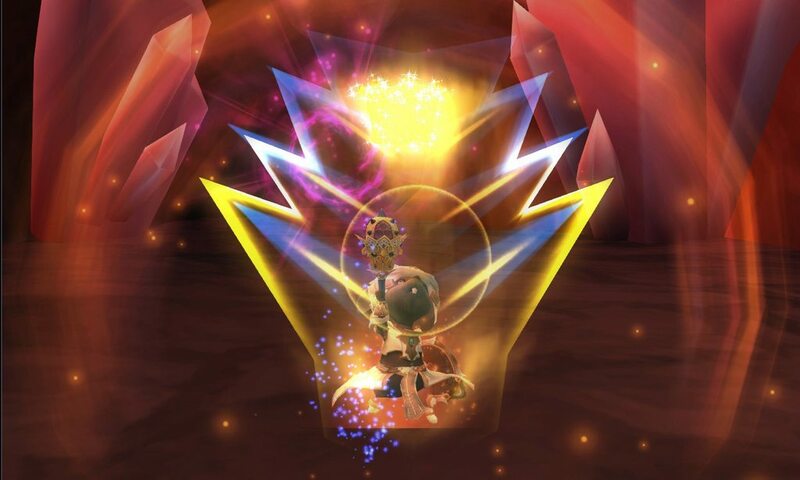 When under "Dark Drake Mode", this spell will also hit the target with the same level Drake's Power. Increases damage from "Hellfire Dragon Devour" and "Drake Fang Ambush" by 20%. Lasts for 3 seconds. Drake Fang AmbushIncreases M.ATK x points. Deals fire damage to all enemies within 15 feet. When under "Hidden Drake Mode", it increases enemy's failure rate of casting spells by 100% for 3 seconds. Increases damage from "Reverse Scale" and "Drake's Power" by 20%. Lasts for 3 seconds. Drake Tail SlashIncreases M.ATK x points. Deals fire damage within 10 feet of a wedge-shaped area. When under "Dark Drake Mode", it knocks targets within 10 feet backwards. Invalid against Boss monsters. Increases received DMG by 20% for 3 seconds. Increases damage from "Drake Fang Ambush" and "Drake's Tail Strike" by 20%. Lasts for 3 seconds. Flame Drake ModeIncreases P.ATK x and increases P-CRIT x for 30 seconds. "Drake Tail Strike" and "Hellfire Dragon Devour" have the following additional effects: Drake Tail Strike: Target's DEF decreases -50% for 3 seconds Hellfire Dragon Devour: Target's HP decreases per second for 3 seconds. Dark Drake ModeIncreases M.ATK x and increases M-CRIT x for 30 seconds. 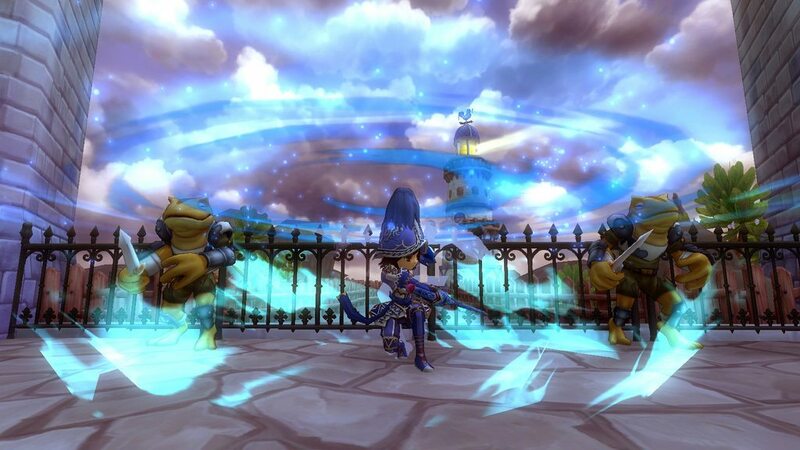 "Drake's Power" and "Drake Tail Slash" have the following additional effects: Drake's Power: Casts another round of "Drakes Power" on the same target. Drake Tail Slash: Knocks targets in the area back 10 feet. Not effective against bosses. Targets will suffer an extra 20% damage for 3 seconds. Hidden Drake ModeIncreases DEF x and increases MAX HP x. "Reverse Scale" and "Drake Fang Ambush" have the following additional effects: Reverse Scale: Recovers x HP after a successful counter attack Greatly increases melee generated for 3 seconds. Drake Fang Ambush: Knocks targets in the area back 10 feet. Not effective against bosses. Causes the target's casting to fail. "After making a pact with a fearsome dragon, Dragon Knights received their immortal powers. The Knights stand strong in the face of dangerous monsters, and visages intimidate all foes."